I was doing some work with PKI and routers today, and after spending ages enrolling all my routers for certificates, I thought I’d save my hard work and return to it later. When I started the project up again, I was less than happy all the devices certificates had ‘Disappeared’! 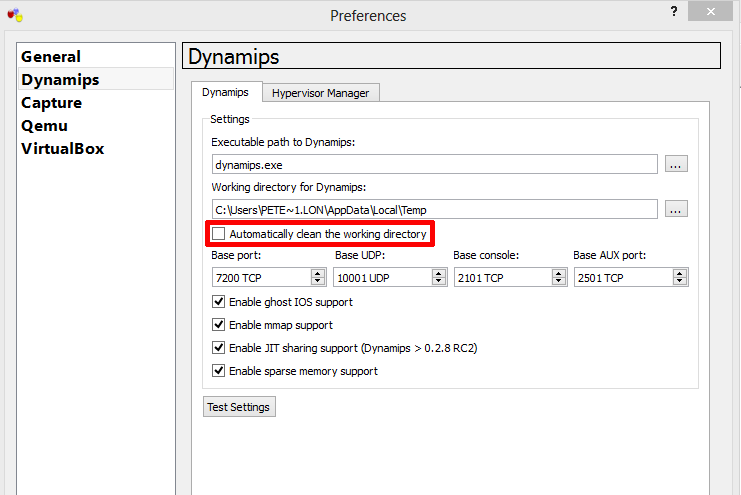 This is default behavior, to change this select Edit > Preferences > Dynamips > Locate ‘Automatically clean the working directory’ and DESELECT it > Apply >OK.